At this time of year, the LSHTM Archives team like to look back at a historic class to welcome our new students, however the class of 1918 was unlike the previous and preceding years. This blog post will look at why teaching at the School was different and what its staff and students were doing in 1918. 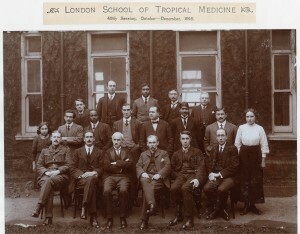 During the First World War, teaching at the London School of Tropical Medicine, now LSHTM, was severely disrupted due to staff and students entering the war. By 1916, attendance on the Diploma of Tropical Medicine & Hygiene had dropped to its lowest: 25 students. It is no surprise then that as the war progress the course had even fewer students and by October 1918 the start of the 58th Session of the Diploma in Tropical Medicine and Hygiene, only two students were recorded in the student register, Mufasfa Fahmy Sorow from Egypt and Major C.J. Wiley from Australia. Unfortunately, unlike other sessions, we do not have a photograph, but their student records show where they stayed during the course and their destination upon leaving: Egypt and Australia. As teaching was greatly reduced, the question is, what else happened at the London School of Tropical Medicine in 1918? 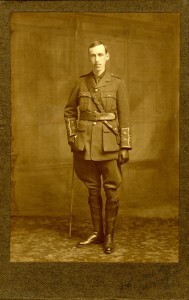 Colonel James provided a series of short courses for Officers of the Army Medical Corps in Malaria throughout 1918, this was in response to the rapid need for trained medics to treat tropical diseases that soldiers succumbed to. Other staff, such as Dr R.T. Leiper, former School Dean Andrew Balfour, and Dr C.M. Wenyon were stationed at various battle fronts where they provided advice, guidance, and researched tropical diseases. The actual building, that was based at the Royal Albert Docks, was used by the India Office as a depot for personnel from the Indian Army and Services who were injured from Egypt, Gallipoli, and India. 1918 also marked a turning point in the School’s history, it was the year that Sir Havelock Charles, the Second Dean of the School, suggested that the London School of Tropical Medicine move to London as the Royal Albert Docks were unsuitable to treat the increase in patients suffering from tropical diseases. This was realised by the end of 1919 when the School moved to its new location in Endsleigh Gardens, which is now the home of UCL’s Student Union. 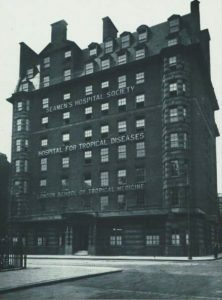 The London School of Tropical Medicine would remain there until 1929 where it relocated to its purpose built site at Keppel Street. 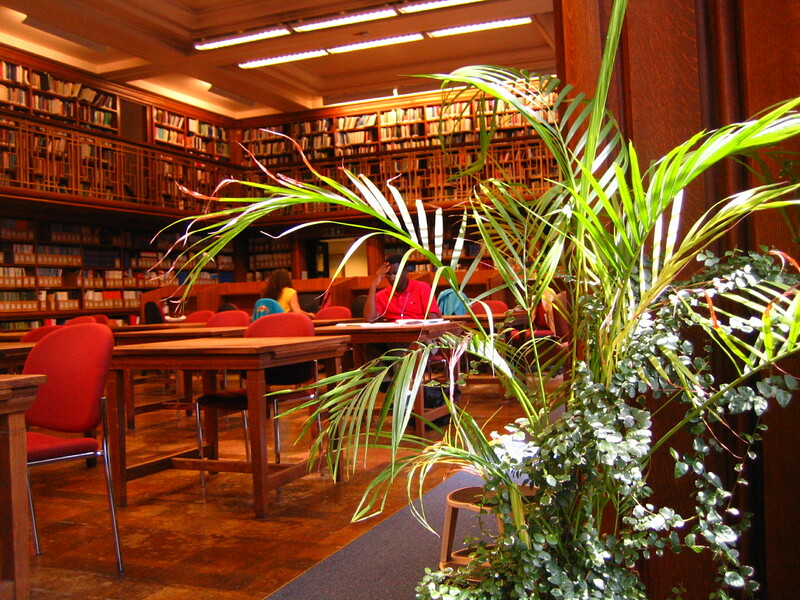 If you would like to explore our collections please see our webpage. If you would like to visit the Archives, please make an appointment.